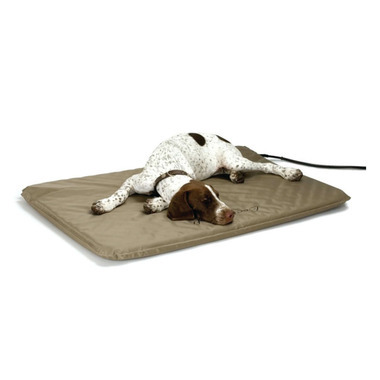 Place the Lectro-Soft directly on a hard, flat surface in your home or inside a doghouse or kennel. The area chosen should be sheltered from direct rain or snow. Pull out the air valve on the bottom side of the bed. Plug into 110-120 volt AC outlet while the air valve is still released. Allow 15 to 30 minutes for the Lectro-Softʪ to begin to warm and fully expand. The unit will feel slightly warm to the touch.